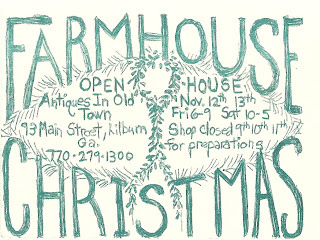 Only 2 Weeks until Our Christmas Open House ! Busy... BUSY... Busy Creating and Planning...Redoing Booths to make this the best ever ! Shop will be closed on the 9th 10th and 11th to prepare... Open House Hours are Friday Nov. 12th 6pm until 9pm and Saturday 10am until 5pm. SEE YOU THEN ! We are so EXCITED...This Friday ,Saturday , and Sunday ,Stone Mountain Park is hosting The Country Living Fair ! Check it out at www.stellashows.com This is their first time in Georgia. Can not wait till Friday ! Our shop is only about 4 miles away...So be sure to stop in ! 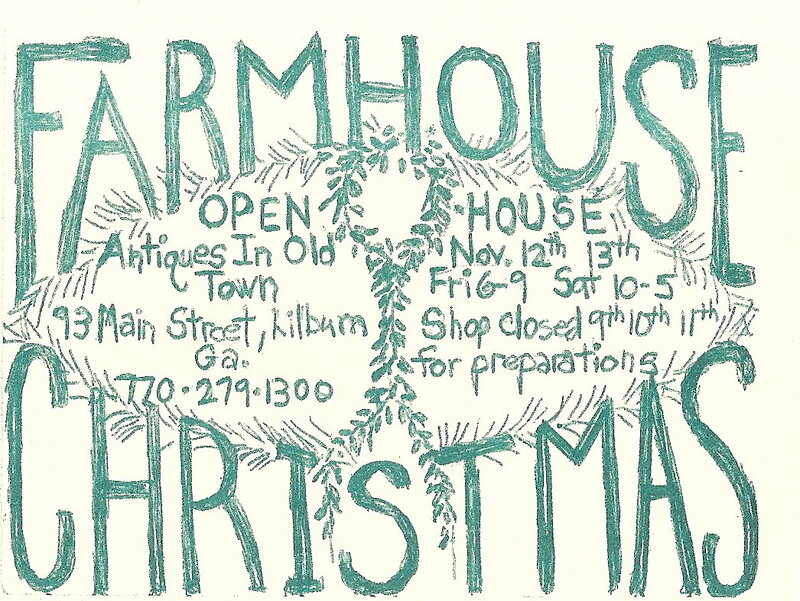 We are at 93 Main Street in Lilburn Ga.While at the Fair be sure to visit The Painted Fern,s Booth , Jocelyn is from our shop. We are SOOO...PROUD of Her ! The Secret to that Battle You’re Facing - The details of our hard may be different, but all our need for courage is the same. BRING SPRING INSIDE - Favorite ways to add some spring to your home decor. - Hello bloggers it has been a while! Here are some new sneak peeks of the shop!! Aug 20, 2014 - Save the Date guys and girls....for this fabulous event at a most fabulous store!! Karen is a Tres Fabu Artiste... One of the best in my opinion! Awaken - Awaken my sweet friend........ let us open the gate towards the future. Thank you Lord for all your blessings. "Junk and Stuff" at "Through The Garden Gate"
Luckett's Fair!!! - On a JUNK drunk from all of the treasures from the Fair!! Had a Great show and brought back some finds! New Blog Link... - Don't forget to visit me at my new blogging home! Click here to visit See you over there! ~Alice W.
PEOPLE ARE LIKE STAINED GLASS WINDOWS. THEY SPARKLE AND SHINE WHEN THE SUN IS OUT, BUT WHEN THE DARKNESS SETS IN, THEIR TRUE BEAUTY IS REVEALED, ONLY IF THERE IS A LIGHT WITHIN.....ELIZABETH KUBLE ROSS - Have a happy life! chickens - i love my chickens! just thought i'd show some pics of our girls!